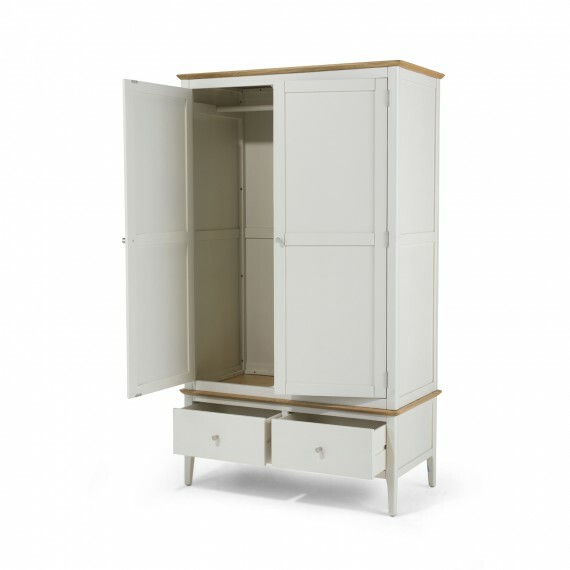 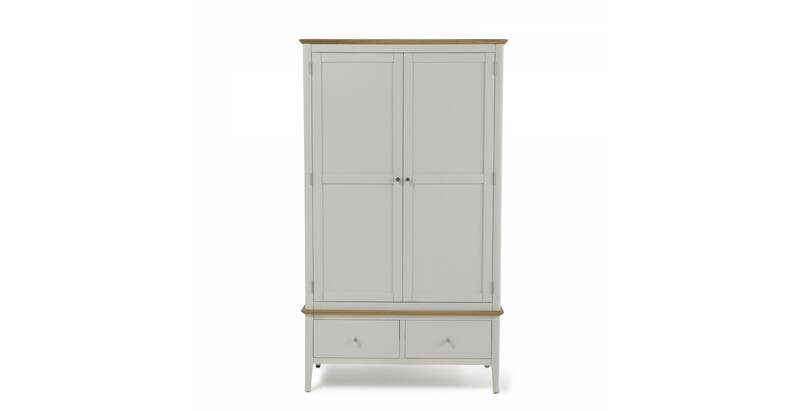 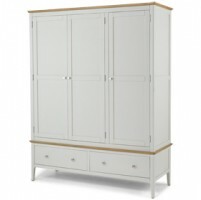 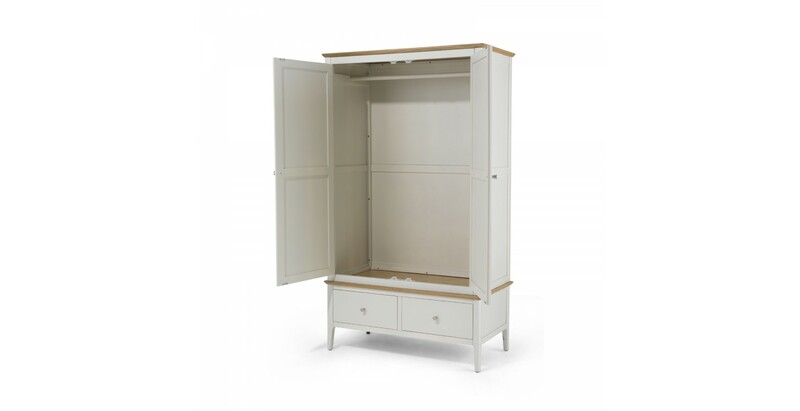 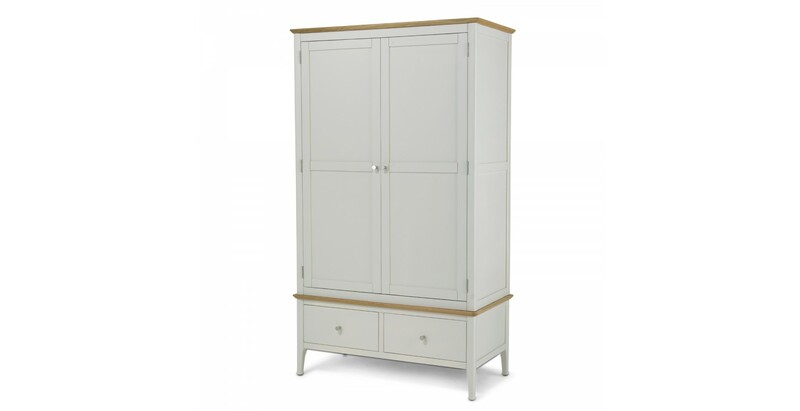 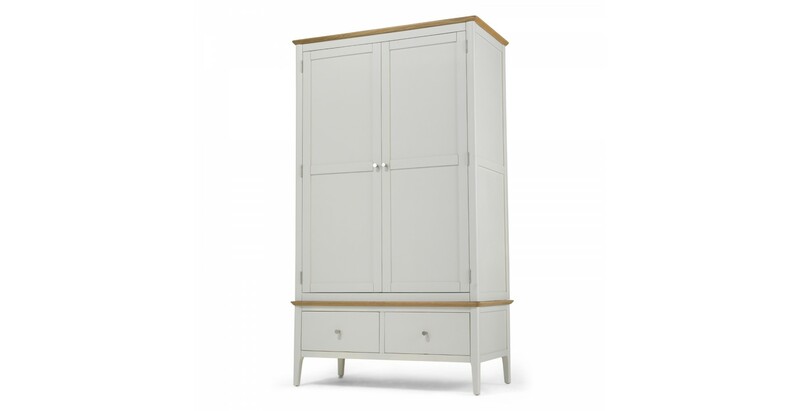 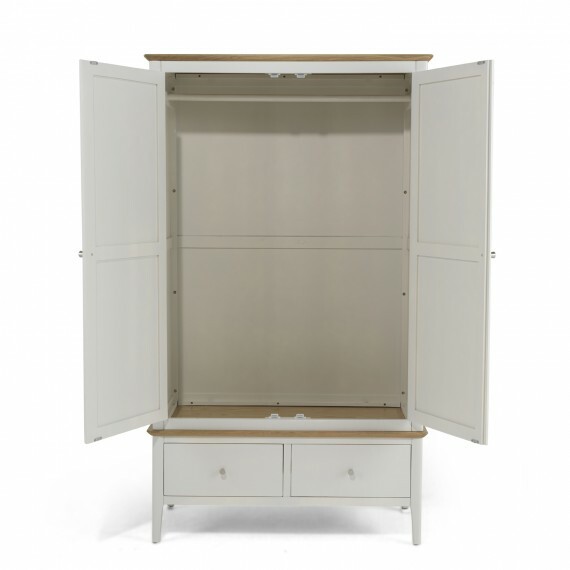 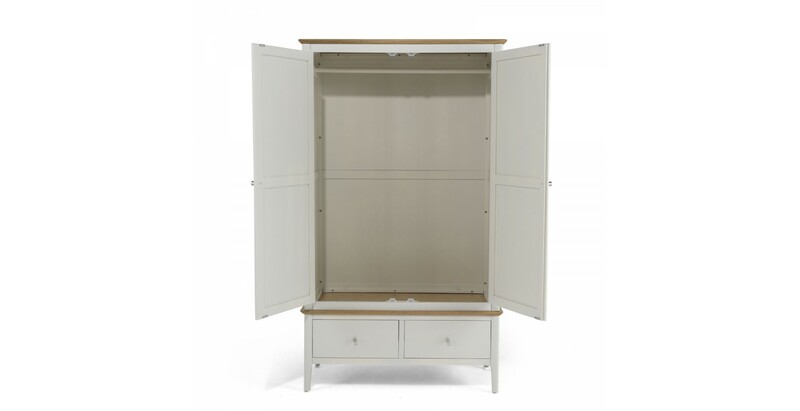 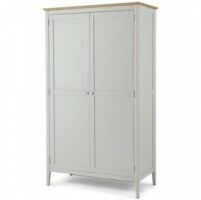 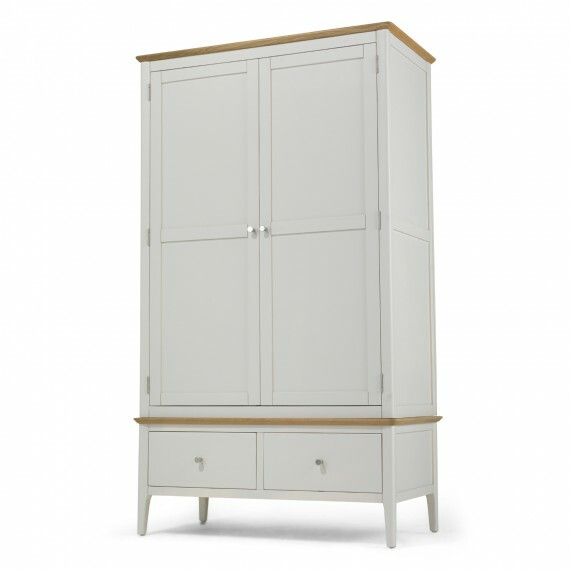 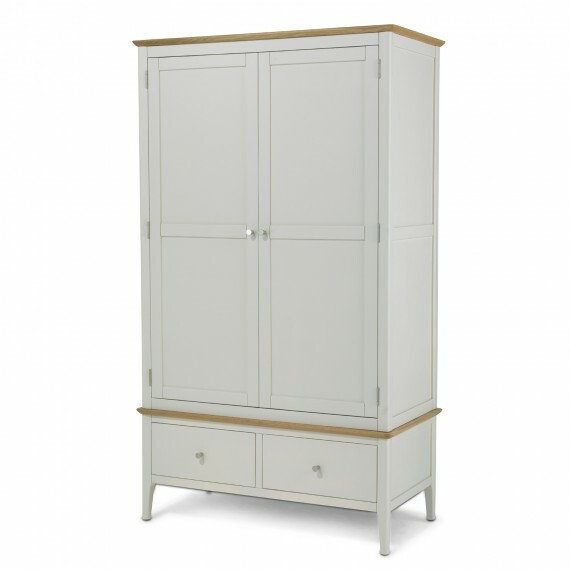 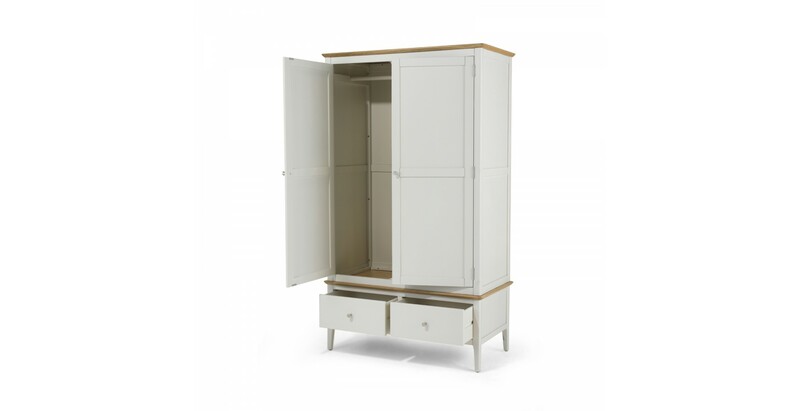 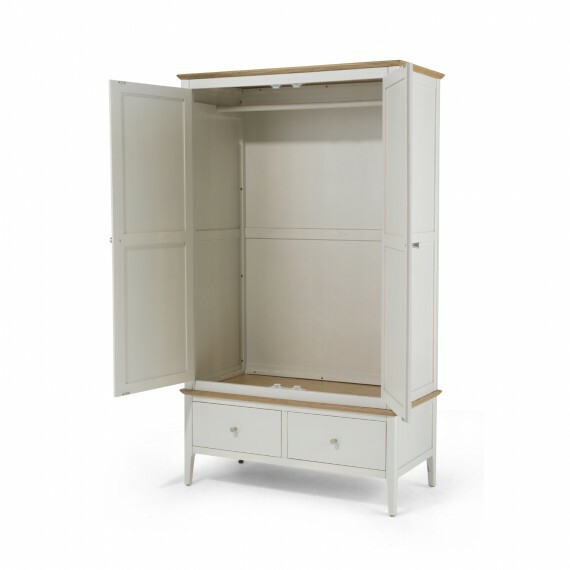 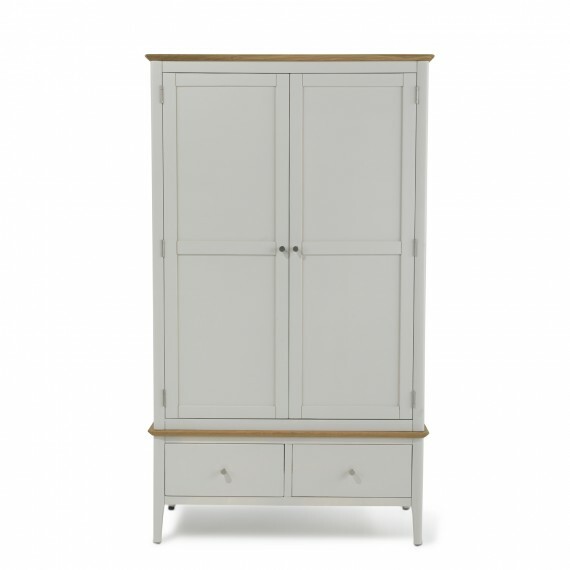 With its pale grey paint finish and pared-down, clean-lined elegance, this beautifully crafted double wardrobe evokes the Shaker principles of simplicity and practicality. 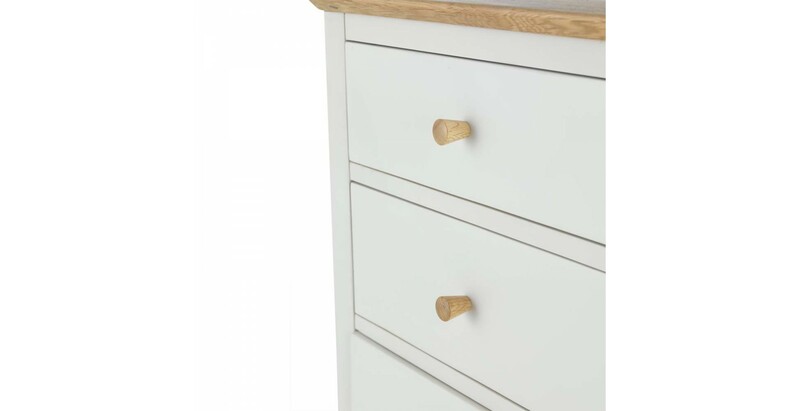 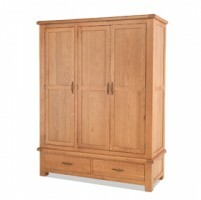 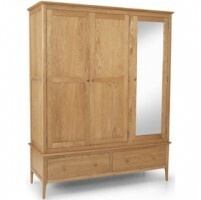 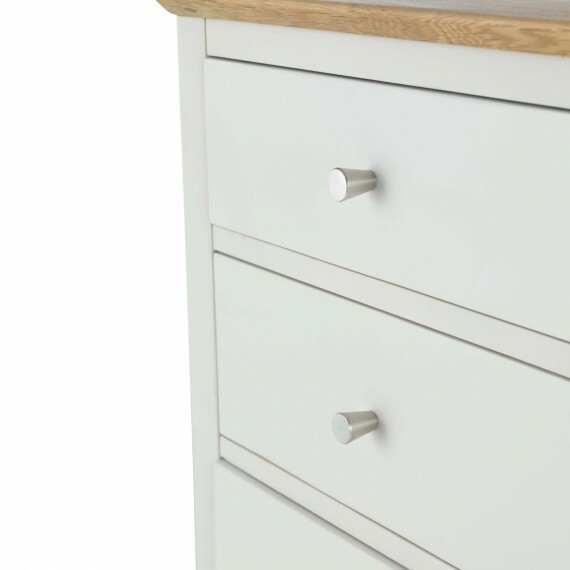 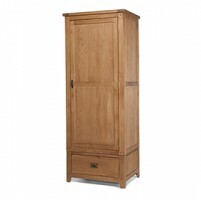 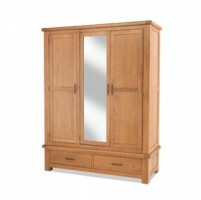 Softened by curved edges, slim yet strong tapered legs and rounded corners on the waxed oak top, it offers full width hanging space behind the double doors, and two drawers at the bottom will keep bulkier clothes neatly organised. 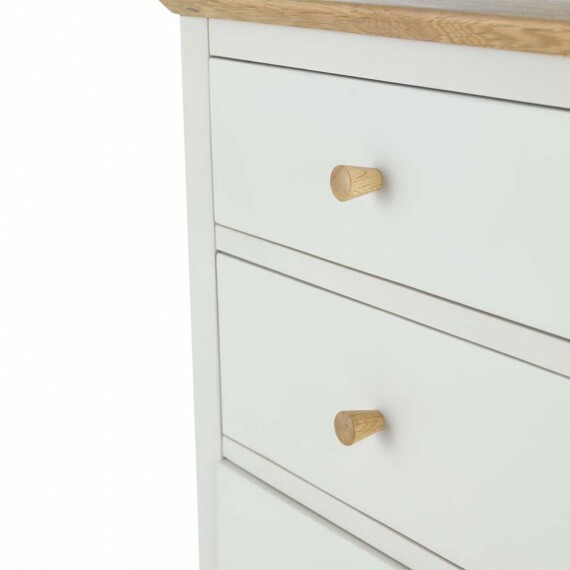 And so you can choose how to best finish it off, both small wooden and metal handles are included.